Adoption is a beautiful journey, filled with so many emotions. There is excitement, anxiety, and an overwhelming experience of love. There are challenges along the way. However, you are never alone. Our adoption professionals guide you through the process and help you on your path to parenthood. The adoption process starts when you decide to adopt a child. Once you’ve made that decision, you need to determine whether you want a domestic or international adoption. Adoption Makes Family can help you determine which type of adoption is best for you. Next, you must select a licensed agency to conduct your home study. Adoption Makes Family has been doing home studies for over 10 years and we approach our home studies with the philosophy of screening families in, rather than out, of the adoption process The home study helps you learn more about adoption and what it will mean to you as you become an adoptive family. When you are ready to begin the home study process with Adoption Makes Family, you will complete a home study application which can be found here or can be obtained by calling Adoption Makes Family and requesting it. After we receive your home study application and fee, Adoption Makes Family will send you an authorization number so that you can access the home study forms on our website. You will need to complete many forms for the home study, so we’ve included an instruction manual on our website to help you complete each form and document. Adoption Makes Family is also just a phone call away if you have questions about completing these forms. The matching and placement phase can be full of ups and downs for you. To start this phase, Adoption Makes Family asks you to create a Birth Parent Book. This book is about you and your family and is a way for you to reach out to a potential birth parent as an introduction. We encourage you to create a book that shows the birth parent who you are and what becoming an adoptive family means to you. 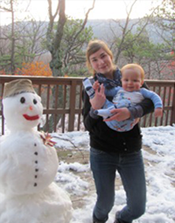 In many situations, birth parents choose to meet the adoptive family. Adoption Makes Family will help you through this delicate part of the process. Your adoption counselor will be present for this meeting to help you and the birth parents come to know each other, talk about your respective adoption journeys, and start a relationship that will lead to a loving adoption plan. Some matches are made early on in the birth mother’s pregnancy. Others are made later in the pregnancy. If there is enough time before the baby is born, you may have additional opportunities to meet with the birth family again. When the baby is born, the birth parents may invite you to come to the hospital to visit. This is a very special time for a birth mother in her adoption journey. Some birth mothers choose to spend some time with the baby. Others choose to begin their separation soon after the baby’s birth. 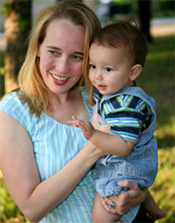 This is a birth mother’s choice and your adoption counselor will be involved to help you and the birth mother gently through this process as well. Birth parents have 30 days change their mind and elect to parent the child. If a birth parent expresses an uncertainty about the adoption plan, Adoption Makes Family has a Cradle Care family who cares for the baby during this 30 day period. While there is no way to completely remove the emotional pain associated with a changed adoption plan, having the baby cared for by a surrogate family for a short time is one small effort we make to help adoptive families through this difficult part of the journey. We know that “Adoption Makes Family” because we are adoptive parents. Let us help you on your adoption journey. Adoption Makes Family’s mission is to find loving homes for a child. Adoption Makes Family is an inclusive agency, promoting the adoption plans of married couples, partnered couples and singles. We support and encourage adoption regardless of marital status, race, family composition, religion, sexual orientation, age or ethnicity. During the adoption process, the adoption counselor interviews the birth family to learn the types of families they are open to viewing as prospective adoptive homes. 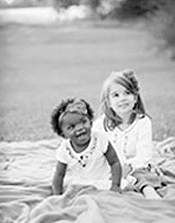 We believe that as the love of a child does not discriminate, neither do we. We strive to screen prospective families in rather than out. Adoption Makes Family is proud of our commitment to helping every loving couple realize their dream of parenthood. We believe that every child needs unconditional love. It is a birth parent’s choice to select the family that embodies the wishes and dreams of the family to raise her/his child. 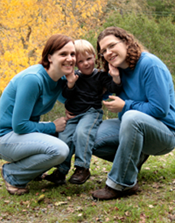 Through the adoption process, birth parents are able to learn more about LGBT adoptions, which can allow for a fully informed and non-biased approach to creating an adoption plan. Adoption Makes Family has presented to Parents and Friends of Lesbians and Gays (PFLAG), participated in the Baltimore Pride Festival and has successfully worked with many families in the creation of an adoption plan. 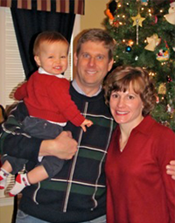 Adoption Makes Family supports and encourages second parent adoption. 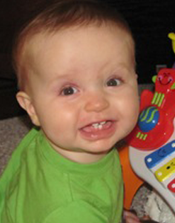 This process allows for both parents to be legally identified as the adoptive parent. Each year, Adoption Makes Family host our Simply Spectacular picnic. This gathering and yearly reunification of families who have adopted through Adoption Makes Family is an amazingly wonderful opportunity for families to find others like themselves. We celebrate the love of the birth parents, adoption, adoptive families and our adopted children.